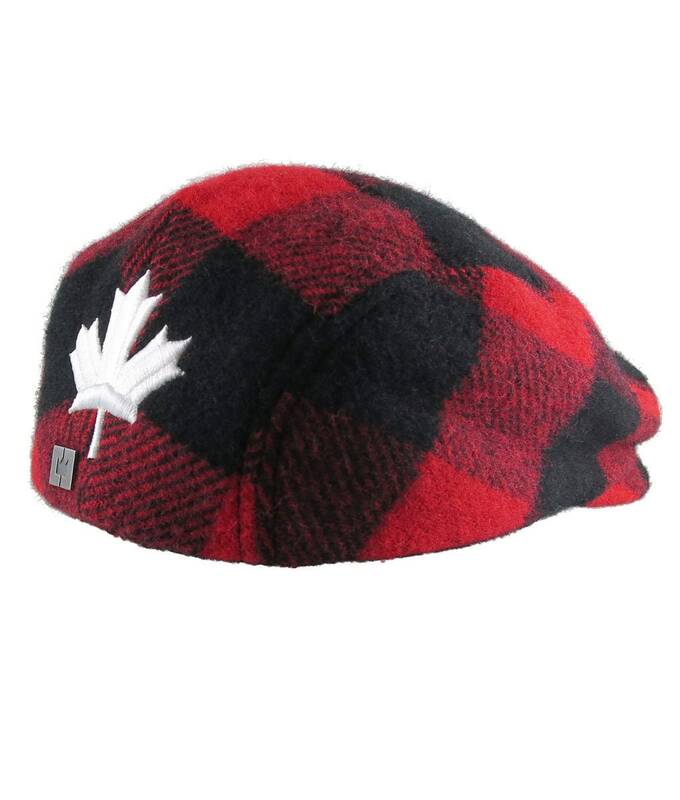 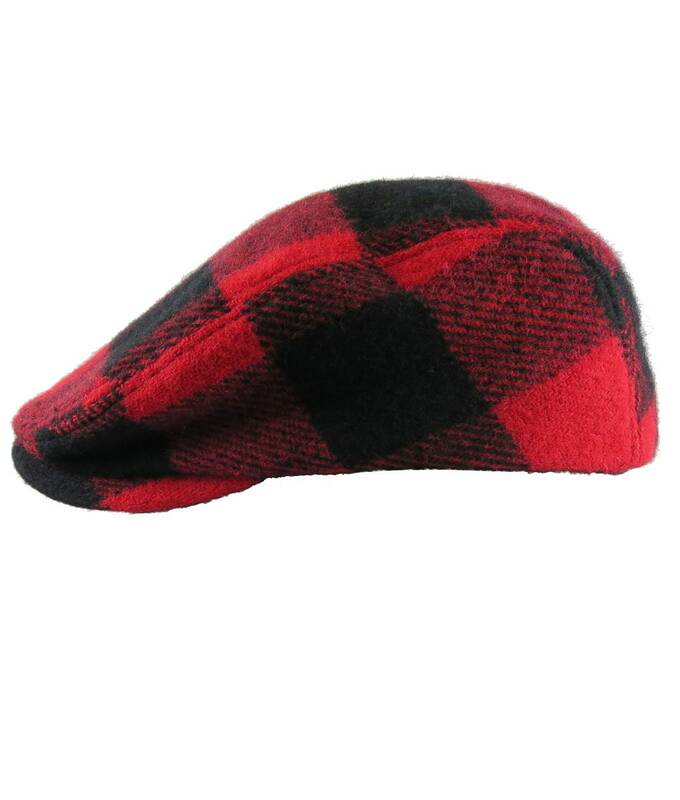 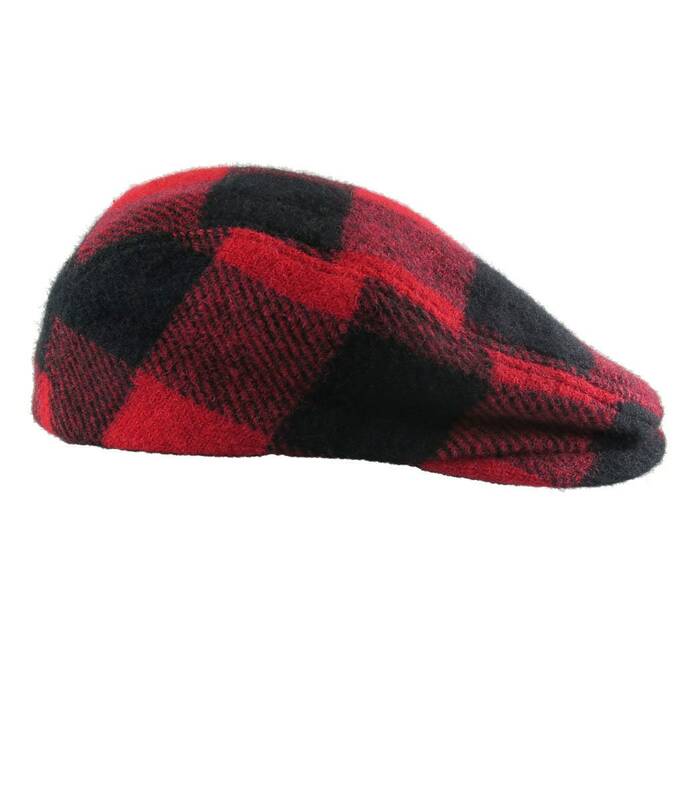 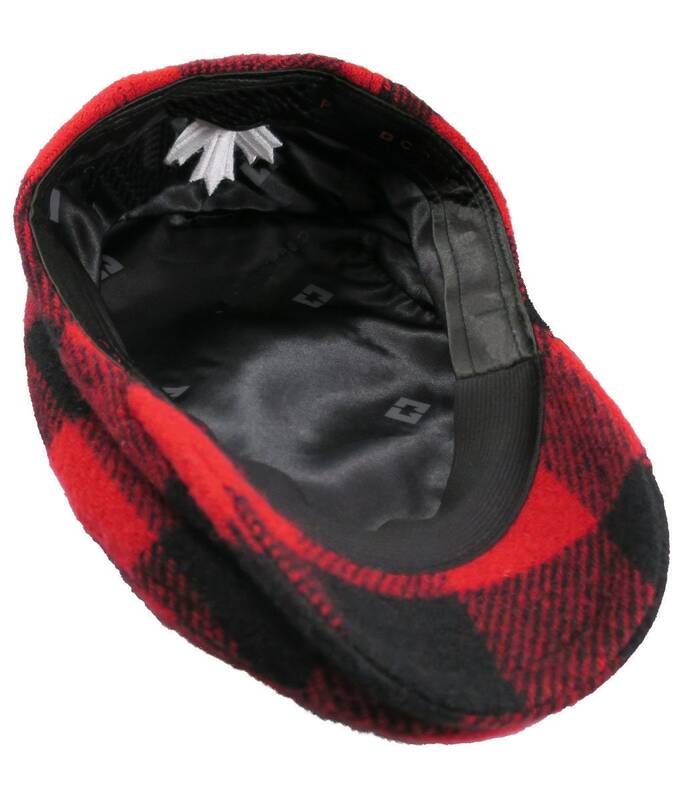 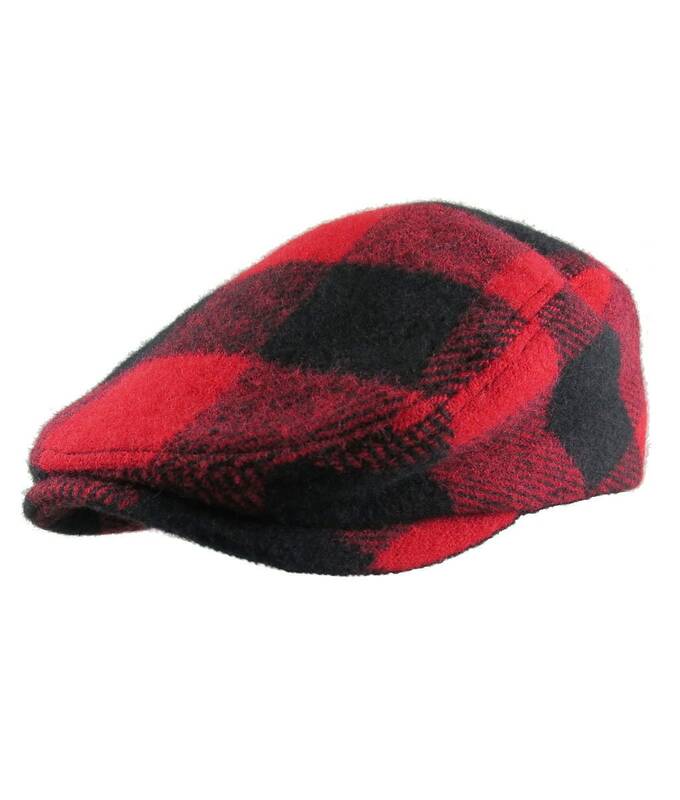 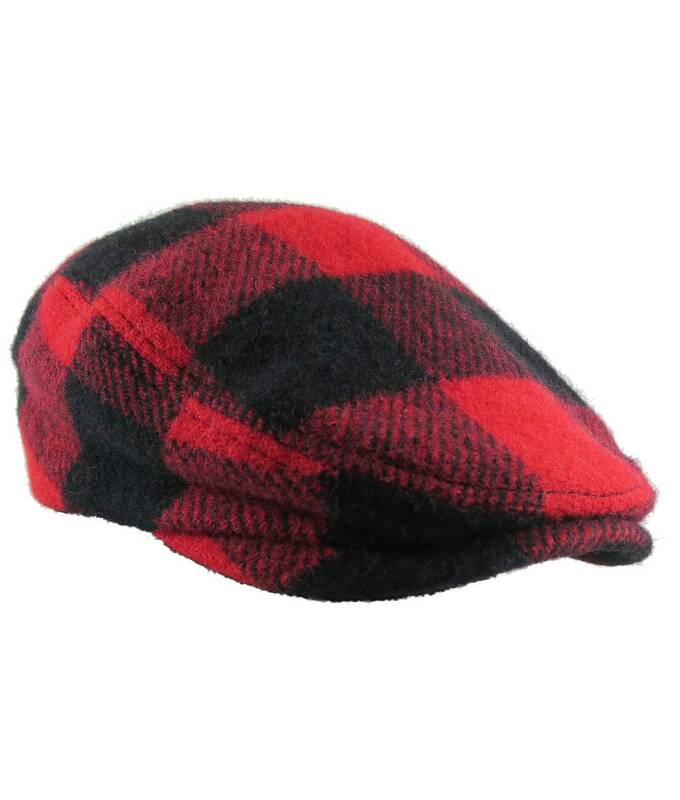 A Canadian made red and black buffalo check plaid wool blend fashion fitted unstructured ivy style cap winter hat. 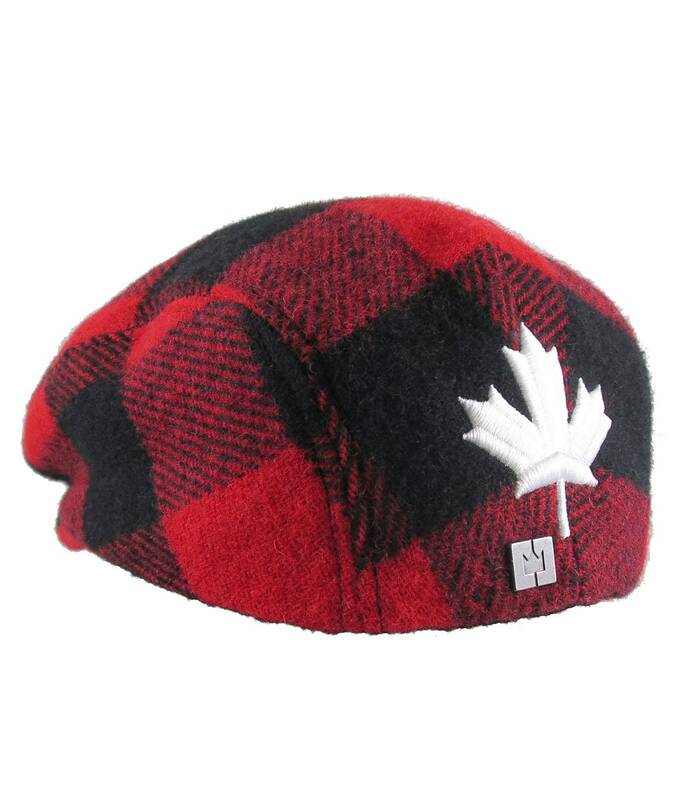 Perfect for a festive winter season. 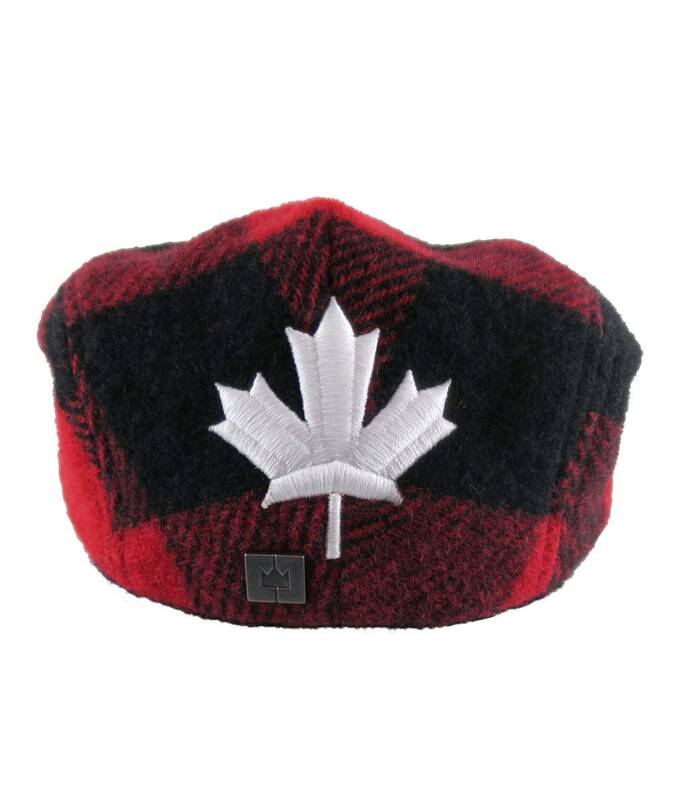 This hat features a white Canadian style maple leaf done in 3D puff raised embroidery.